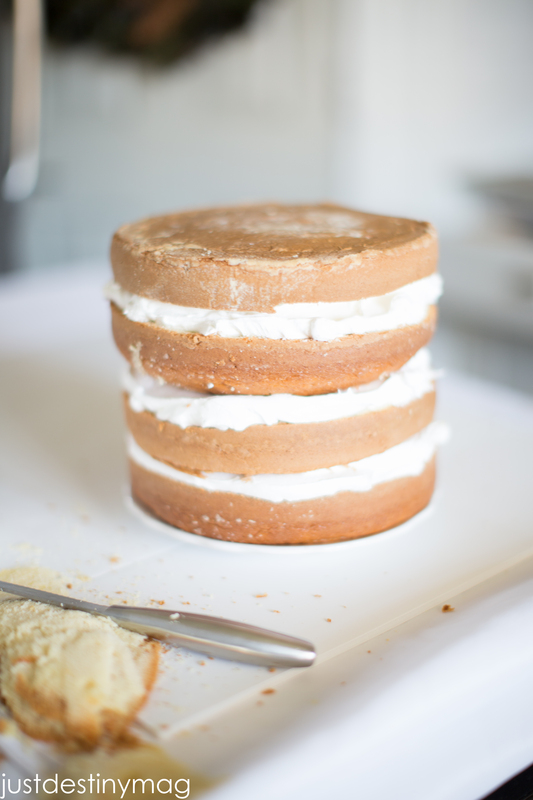 I love the new trend of naked cakes. They’re not only beautiful to look at but depending on your baker, they can be some of the most delicious desserts you have ever tasted despite the lack of frosting. I set out to make my own version of the naked cake at my SIL baby shower and it came out pretty good! 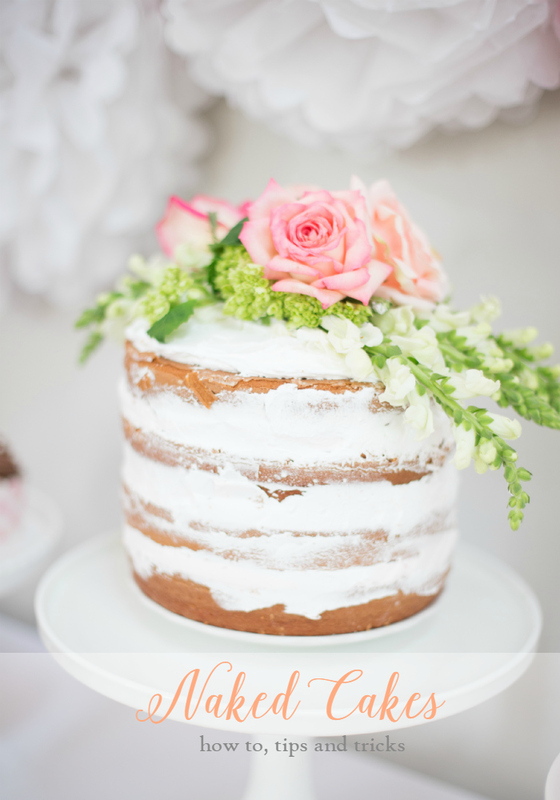 Today I’m going to give you some steps, tips and tricks to create your own naked cake at home for your next party using, boxed cake and whipped frosting from your local grocery store. Semi-homemade if you will! Prepare 2 boxed cakes of your choice in TWO 3×8 inch round pans. ( I entire box with fill one 3×8 pan) Find them here! Make sure that you generously coat the pan in pan release or oil and flour so that it comes out nice and easy! 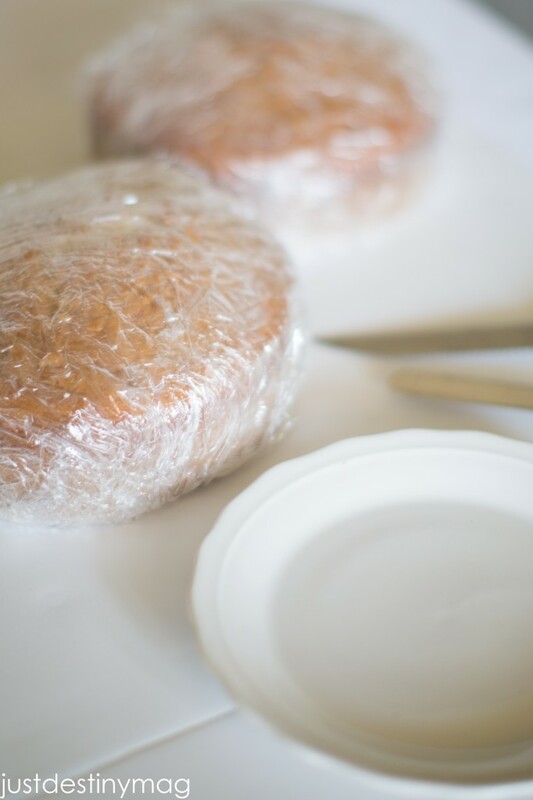 Once your cakes are cool ( after about 10-15 minutes) Remove them from the pan and carefully wrap them in plastic wrap. Then place them into the freezer for 4-6 hours.Working with frozen cakes is SO much easier, especially when you have a lot of handling and cutting. 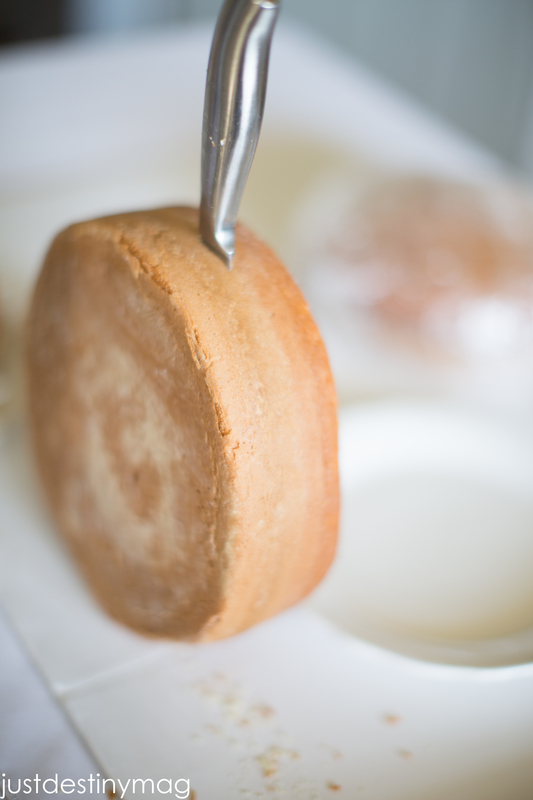 So do yourself a favor and freeze your cakes friends! 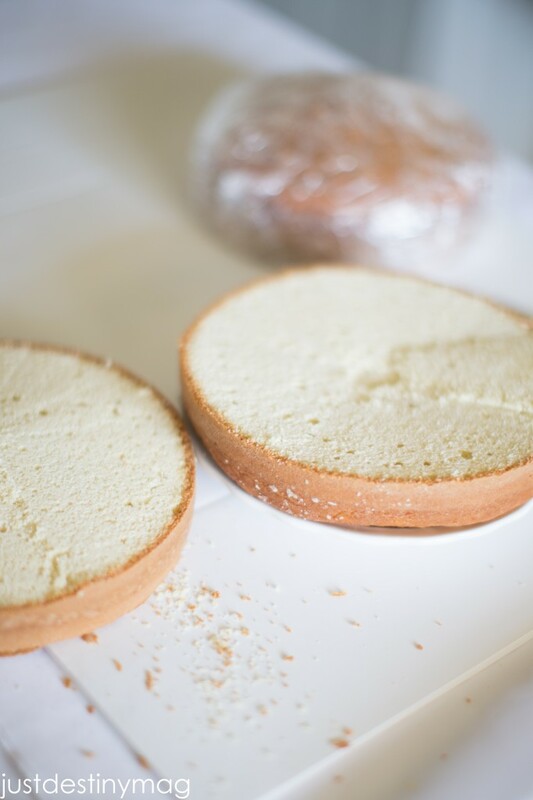 If your cake didn’t bake evenly then you will need to cut off the top hump with a serrated knife for easy cutting. Feel free to shove the scraps in your face. yum. The next step is to cut the cake in half. 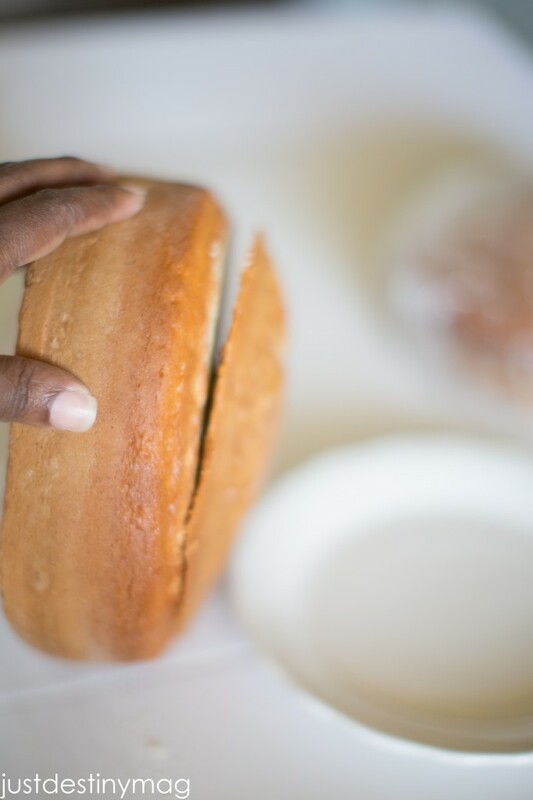 There are all sorts of technically ways to make sure that the cake is even when you are cutting. Some people use toothpicks, while others use the cutting tool from Wilton. I personally just find the middle and cut through making sure I stay somewhat even. That’s the type B in me. Type A’s, you might not want to try this:0) Next begin to assemble the cake.Take the bottom of the first cake and set it on a small plate or cardboard mat. Once the cake is in place begin to stack up the cakes using layers or cake and whipped frosting/topping (not cool whip) in between for fluffy and light layers. I picked this tub up in the bakery section at Fry’s. 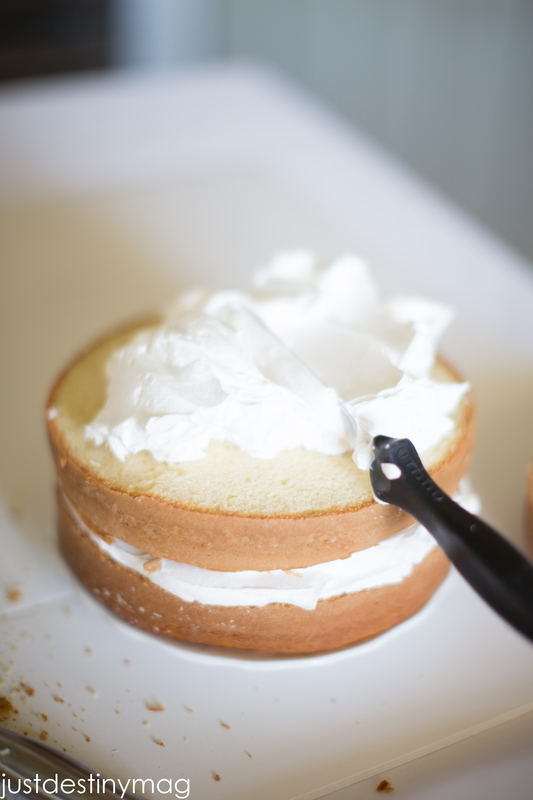 I LOVE this option because sometimes heavy buttercream is too much. This frosting really gives it a heavenly look and it’s really easy to work with. Fill it any gaps you see with extra frosting and don’t be afraid to gently maneuver and shift the cake as need to get a nice even look. Instead of covering it with frosting leave the layers exposed. 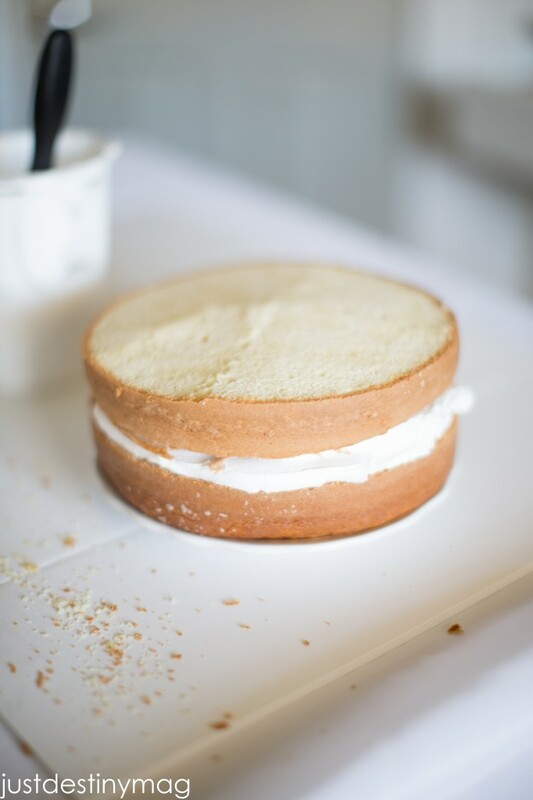 You’ve got yourself a naked cake! The final touch should come with flowers or any other objects that match the theme of the party. 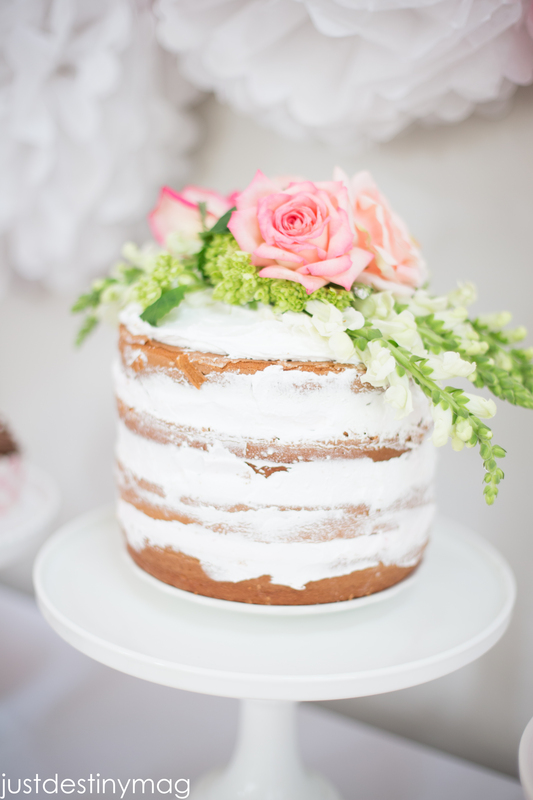 Simply cut foliage or flower stems and arrange them around the cake in a bouquet or cascading type form. Have fun and don’t get to caught up on perfection. Click to see more shots of this cake! So there you have it! Naked cake! Let me know if you make one, I would love to see it over on Instagram! If you’re looking for some essentials here is a list I have on Amazon to help you out! I cannot wait to try this cake for Easter lunch. Absolutely beautiful!! 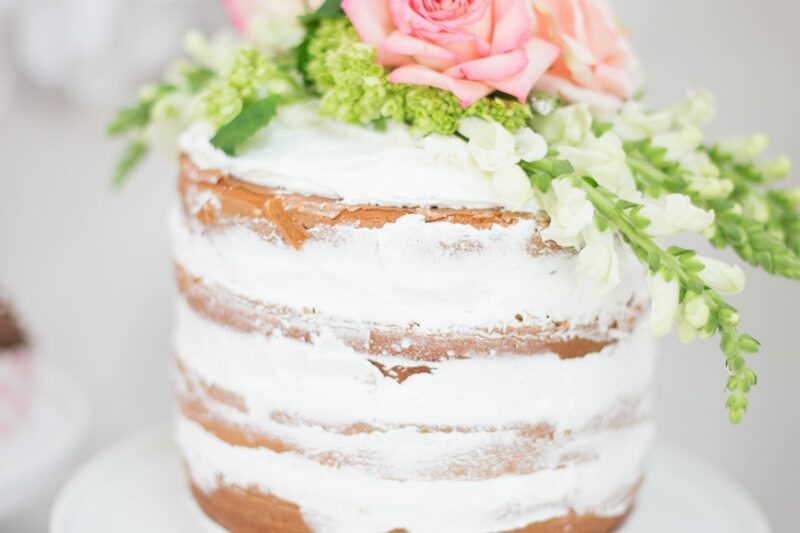 I am completely smitten with naked cakes! Thanks for sharing your tips. Your cake is so very pretty and I’m certain it was a huge hit. Hi! The frosting is a whipped frosting that I got from the grocery store. I found it in the bakery section! I’m looking forward to making this cake for a baby shower sprinkle next weekend! I will feature it on the blog and hopefully it turns out as beautiful as yours! 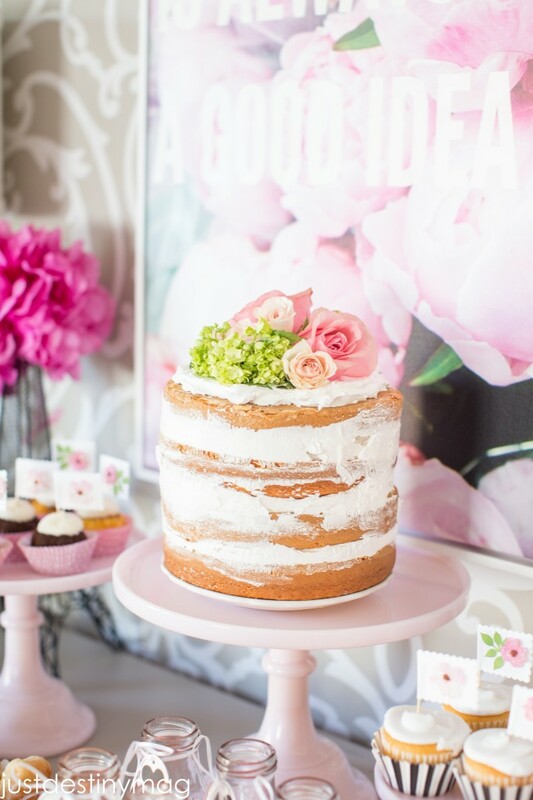 Omg I’m swooning over this adorable cake! I can’t believe how easy it looks to make! I’m going to give it a try for thanksgiving! Hello!! Love the cake! So beautiful! I can’t make for my daughter first birthday. I do have a question though, if I were to buy smaller round pans for her birthday do you think it would still work? YES! I actually used smaller rounds on my pecan/ fall naked cake and it worked great! Good luck! Let me see a photo when you are done!!! Are the flowers edible? If not, do you still eat the top layer or is it only for ‘looks’. Yes it is. I usually find that the cake is thawing as Im icing. So its very quick! Beautiful cake! Great advice. 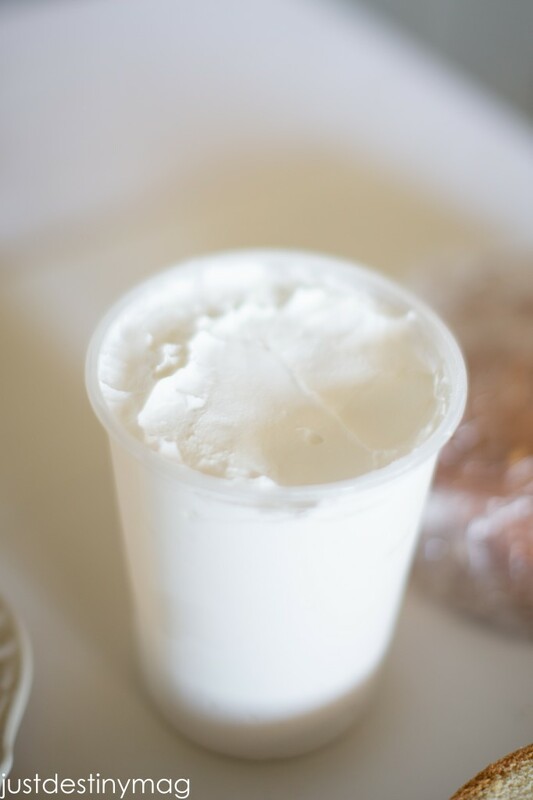 What’s your recipe for the fluffy frosting? 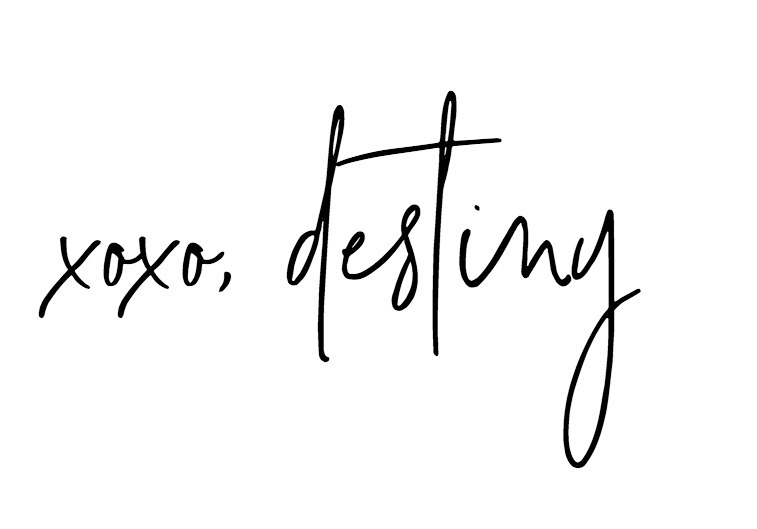 So happy to have found your blog thru Hyms and Verses. So refreshing ideas and yummy food!! Keep up the good work! Are the flowers real and when serving do you remove the top layer that has the flowers on there or just scrape off the flowers? This is so helpful! I’m making a cake this sunday for my parent’s anniversary dinner and can’t wait to make use this tutorial! I made this cake for Brother’s birthday, and WOW, it was amazing! Thanks for a great recipe! Can you pls give the name of whipped frosting brand that you have used here? Also, how place flowers? Do we place any transparent sheet so that the pesticides or any chemicals on the bouquet don’t pass onto cake? Nice article, we will try to make this cake on this Sunday at my brother’s birthday. I am going to try this for my daughter’s confirmation party. I am wondering….can I make it ahead a day or two and then store? Would you recommend storing in the fridge in a tightly sealed container, or would it be best left out of fridge in a container? I just wasn’t sure what was best. This is so beautiful and I can’t wait to try. Thanks for your tips!